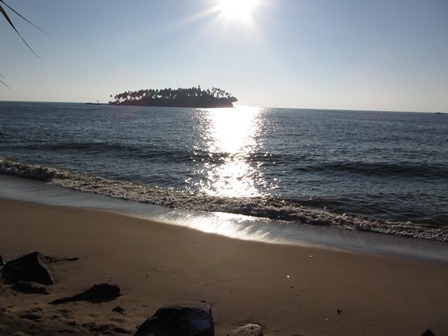 Have your 2014/2015 holiday in Sri Lanka! Sri Lanka is a great place for a holiday where you can rent a room or villa, there is always something interesting to see or do. Meet the hospitable locals, shop for gems and local handicrafts, sample the mouth watering cuisine, take a relaxing massage or herbal bath, stroll and chill out on the beach. 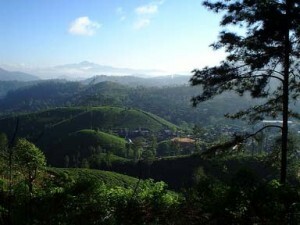 Sri Lanka has rich and varied fauna and flora in the jungle, wetlands and mountains. The coast has miles of palm-fringed sandy beaches. It’s compact size means it is a paradise for tourists offering cultural heritage in ruined cities, ancient temples and museums. Watch the colourful festivals with lights, dancing and music. For the sports person there is cricket, golf, white-water rafting, jet skiing, scuba diving, fishing, cycling and walking. There are many National Parks where many varieties of animals, plants and birds can be seen. Take a jeep safari where you will see wild elephants, water buffalo and crocodiles. Meet elephants close up in the elephant orphanages. Learn about turtles at the turtle hatcheries on the west and south coast and hold a tiny baby turtle before it’s released into the sea. A sightseeing tour can take you up into cool hill stations of the tea plantations past beautiful scenery with magnificent waterfalls cascading down the mountain slopes. Watch the Tamil women in their colourful saris pick the tea and then visit a tea factory to see how the tea is processed before buying some to take home. Check this web site for further details and updates of the tours and tourist information. If you have comments or questions about the tours or Sri Lanka, or simply need more information and want to contact us. Click on the Contact Us button on any page within this site. Thank you for visiting and we look forward to your stay in Sri Lanka.